The colorful Rally Mexico kicked off on Thursday night in the streets of Guanajuato, with the opening ceremony and Super Special in front of over 40,000 excited and passionate fans. It was none other than Fords Petter Solberg, who took the stage win on the cobbled streets and goes into Day 1 with a 0.6 second lead. 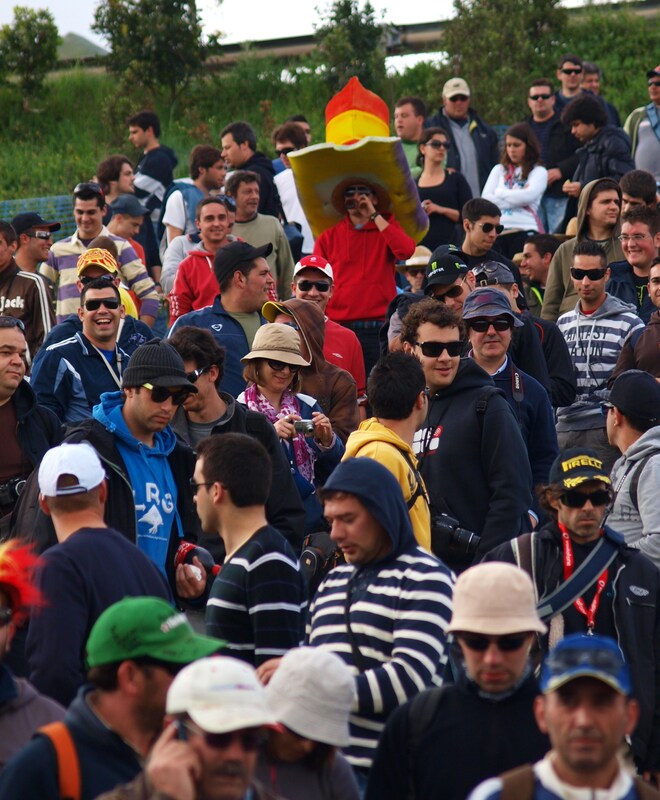 Rally Mexico properly kicked off in the early rising sun. Rally leader Petter Solberg suffered a puncture on SS2 and dropped him way down the leader board. Citroens Mikko Hirvonen was the one to take the lead in the dusty gravel. But Hirvonens lead didn’t last long, as on the following stage, Ford’s number 1 Jari Matti Latvala set blistering pace and took the top spot. It became a battle of the fins once again. Despite Loeb going fastest on SS4 the battle for the top spot was still raging between the two former team mates. But on SS5 Disaster hit Ford again. This time Rally leader latvala who caught a rock lying on the racing line and broke the suspension of his Fiesta. This lost him the lead and put him out of the top 10. Frustration for the whole team, and lost any hope of victory. Citroens junior driver, Neuville had been doing well. He was battling with Mads Ostberg for 3rd place, until he took a wheel off his DS3 on one of the kerbs at the side of the road. In the afternoon of day 1, latvala dominated the stage times board. Making up for lost time after getting his suspension fixed in Service. The Ford driver consistently setting fastest stage times to put himself within reaching distance of a podium place. Even Loeb changed the splits that get fed into the car, from 2nd placed Hirvonen to now 4th placed Latvala, showing that despite being over a minute off the lead, he was still putting pressure on the front runners. On the evenings final two super specials. It was Nasser Al-Attiyah that took his first WRC stage win, and Ex Subaru driver Chris Atkinson taking the other SSS stage win, showing that he hasn’t lost any of his skills behind a WRC car despite his 3 year absence. By the end of day 1 loeb was leading Hirvonen by 11.2 seconds, with Mads in 3rd and Latvala in 4th just 16 seconds apart. Team mate Petter Solberg had climbed back up to 5th. On Day 2, Ford boss Malcolm Wilson said that the target for his boys were to finish 3rd & 4th, to try and claw back some points after their disastrous day 1. And that’s exactly what Jari-Matti did. On SS13, the first stage of the morning, he set his 6th fastest stage of the rally and claims the 3rd spot, a great come back for the finn. But all that hard work fighting back up from out of the top ten was undone. After Service, on Stage 15, any hopes of an outside victory that Latvala and ford had were gone. Latvala went over some bedrock and broke the wheel of his Fiesta which led to a slow puncture and the lost time dropped him back down to 4th. At stage end Jari said, “we went over bedrock on the inside of a corner, it broke the front left wheel, not the tyre but air came out. We did 25km on this tyre”. At the front, the Citroen boys had been battling with each other, but in the end, Hirvonen’s pace was no match to that of 8 times World Champion Sebastien Loeb. Mikko admitting now that he can’t catch Loeb. On the following stage and final proper stage of the day SS16, After he’d changed the wheel, Latvala was back on a charge and over took Mads ostberg once again to reclaim 3rd place. Drama at the end of the stage for Monster Team driver Chris Atkinson who was sitting well in 8th, crashed and came to a stop beached on the edge of the road after his breaks completely failed on his Fiesta, and had to retire. After the evenings 2 final super specials, which both Loeb and Solberg shared fastest times on. Loeb had extended his lead over Hirvonen by 36 seconds, with Latvala ending the day in 3rd 2 minutes off the lead. Petter Solberg gained 4th and Mads dropped down to end the day in 5th place. The final day of Rally Mexico was a dramatic one. In the mornings super special, It was the showing of anther impressive driver from a new comer. Citroen’s young Neuville got his first WRC stage win. But Day 3 had a real ‘sting in the tail’. It was a massive 54km stage. The longest WRC stage for many many years. It was a monster of Gravel, bed rock, Ditches, rocks and fast twisty bends. 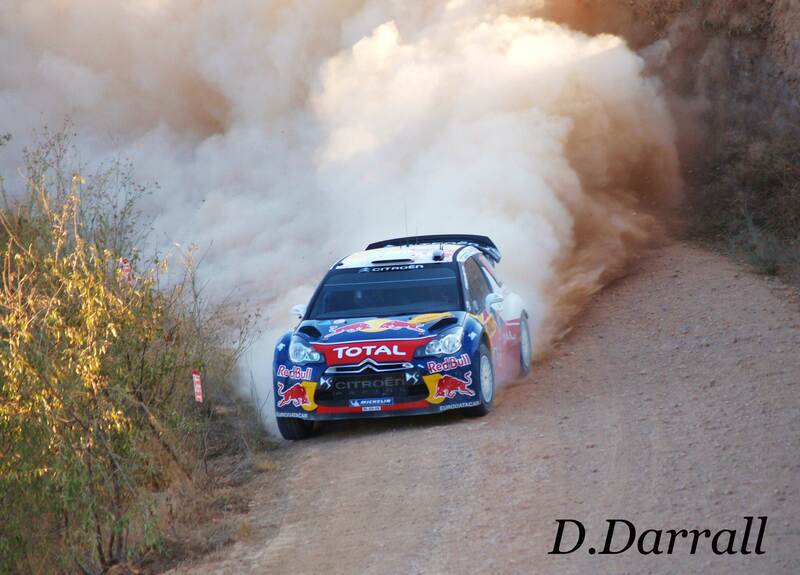 Loeb felt very confident as expected and attacked it like the rest of the rally. Faster and better than anyone else. But disaster hit most of the others, it was more of a 54km scrap heap. Monster driver Ken Block ran wide on a tight left corner and got two punctures, team mate Chris Atkinson had to retire due to broken suspension, Ostberg also had a puncture amongst others further down the field. But the biggest to suffer the 54km ‘scrap heap’ was Evgeny Novikov. The Russian seemed to clip something on the inside, and with a little too much speed, it sent the car up in the air, and rolled it over 6 times. A horrifying crash by anyone standards at them speeds. 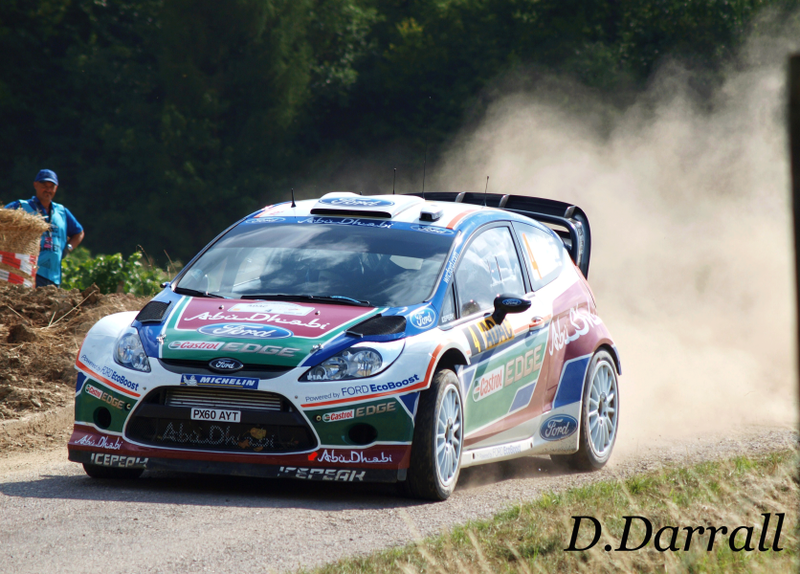 Next to come through, was Ford driver Jari Matti Latvala. As he was coming up to that same spot, he was surprised to see Novikov’s car ahead on its roof in the road, and in a panic the finn hit the brakes hard, which at high speed sent the car sliding, and then repeated what the Russian had done a few minutes before him, rolling the car at least 2 or 3 times. This time the Fiesta landed on its wheels and Latvala was straight away looking for 1st gear and driving away, further down the road he had to pull over to change a punctured tyre. Latvala made it to the end of the stage, but had to retire after discovering that the roll cage had been damaged. This moved team mate Solberg up to 3rd place, and it was an easy drive for the citroens to the final stage, the Power Stage. Ford hoped to get some points back on the power Stage after the problems they’d had. And Petter Solberg did just that by setting the fastest time and grabbing though all important 3 bonus points. Loeb was 2nd fastest, and it was Mads Ostberg that managed to get the last bonus point for 3rd fastest. Just behind, setting a very impressive time was Ott Tanak. So, anther rally done, and anther win for Citroens Sebastien Loeb. Win number 69 for the frenchman, and his 6th win in Mexico. He drove the perfect rally, No mistakes, no problems and was faster than anyone else, yet anther very impressive performance. Now on to Portugal. This entry was posted in WRC and tagged Citroen, ford, Latvala, Loeb, Mexico, rally, review, Solberg, WRC. Bookmark the permalink.